I think that about 99% of the people in my real life relationships think that I either do something illegal to make money or I get paid a huge amount on YouTube…guess what, neither are true and today I want to explain how I am making money in my business right now and how it’s changed throughout the years. I started my first businesses in college. I had design companies and invitation and stationery companies and even did photography for a while. In 2010, I went legit, quit my full-time job (you can listen to the whole story here) and started an ACTUAL business, a web design business and then I’ve transition from there…let’s get into it. If you’d rather watch this post than read it, here’s your chance. Here’s a breakdown of how I make money NOW, in late 2017, in my online business. My podcast. I co-host the All Up in Your Lady Business podcast with Jaclyn Mellone and we make money via sponsorships and affiliate relationships for the podcast specifically. eCourses. I still sell LOTS of courses in my online shop so that’s a definite stream of income for me. VIDfluential™ U. My new membership site that helps entrepreneurs figure out their video marketing strategy, bust through the tech hurdles and get.on.video. 1:1 consulting. I consult with larger corporations and small business owners to help them fine-tune their marketing efforts and figure stuff out so they can have a better business. Affiliates. 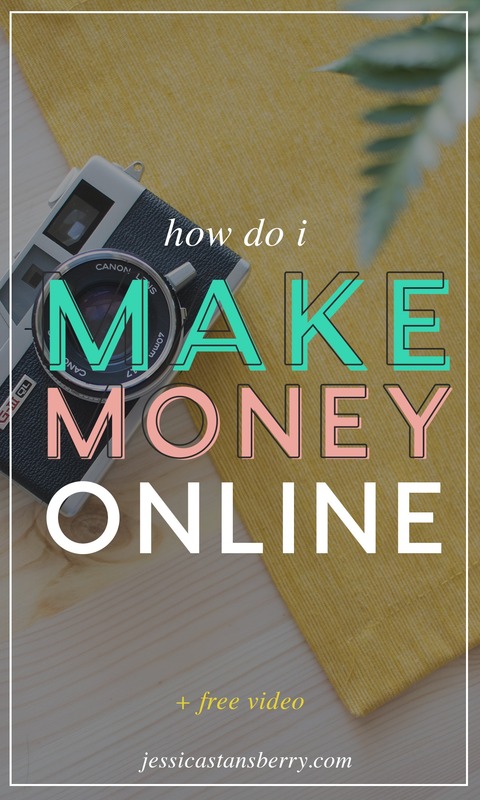 There are several relationships I have with companies that I believe in so if I’m talking about them or referencing them, I link to my affiliate link and make money here and there. Thanks to BANGING SEO, I am able to make a consistent amount per month from affiliates because of traffic coming here organically. YouTube. Now, don’t get me wrong, I don’t make MUCH on YouTube but it’s growing every.single.month and I love having it as a little extra income here and there. Teaching. I teach seminars locally that are either hosted by me or in conjunction with the college or Community College and charge a fee to do so. So, hopefully that helps you not only see how my business generates an income from SO MANY different streams but I hope it also helps you see how YOU can create multiple streams of income in your business as well.